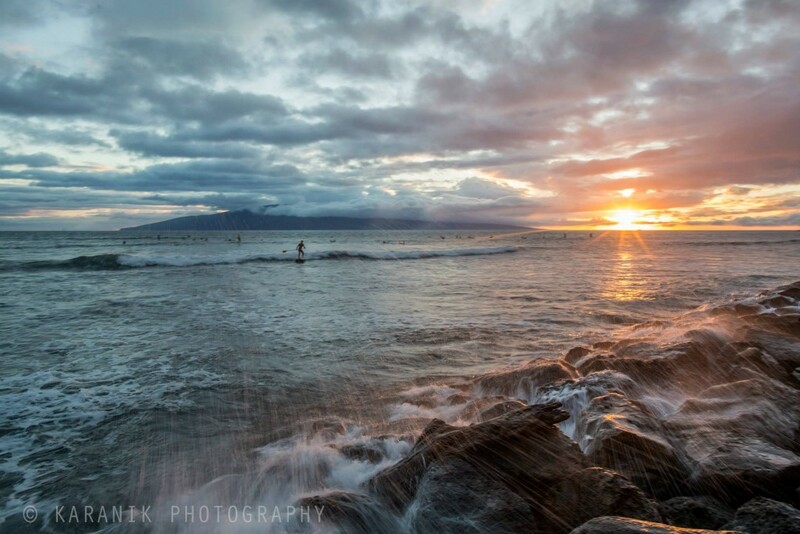 Smooth waves at sunset in Maui are fun, even when they are small kine. Stand up paddlers have the advantage of a buoyant board and long paddle to catch just about any size wave that breaks…perfect for a calm evening on the coast. Everything is Soo beautiful. I hope one day I will get to come on vacation in Hawaii.